Our brain is 75% water, when you are dehydrated it decreases energy as well as alertness. 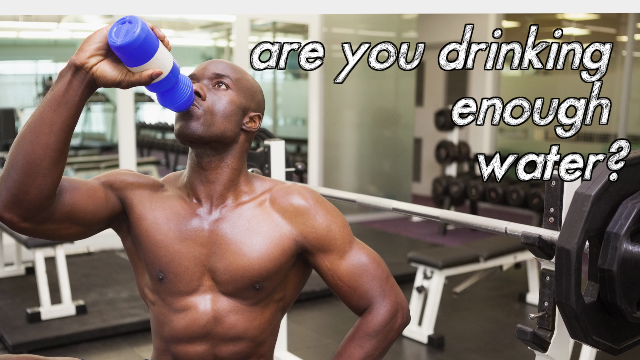 Are you drinking enough water? Julia Karantjas of JKNutrition is here to give us some of the benefits of drinking water. Enjoy. Julia Karantjas B.A RHN is a fountain of knowledge in the world of nutritional supplements and sports nutrition. She holds a Bachelor of Arts and designation in Holistic Nutrition. With over 9 years experience in the fitness and nutrition industry Julia has helped many clients achieve their health and fitness goals. Over the last 9 years Julia has become a published writer and passionate public speaker giving seminars on numerous different topics from the basics of nutrition to the importance of glandular health and the endocrine system.